When a fire was still kept burning in every home, the stove or furnace occupied a central place in human life as the vessel that at once sheltered and tamed the vital fire. In the cold months of the year above all, the hearth became the center of life. At the end of the working day, the house’s inhabitants gathered around it, warmed themselves and – as night descended – told each other stories. Numerous folk tales speak of the oven, it was woven with superstitions and mysterious customs. 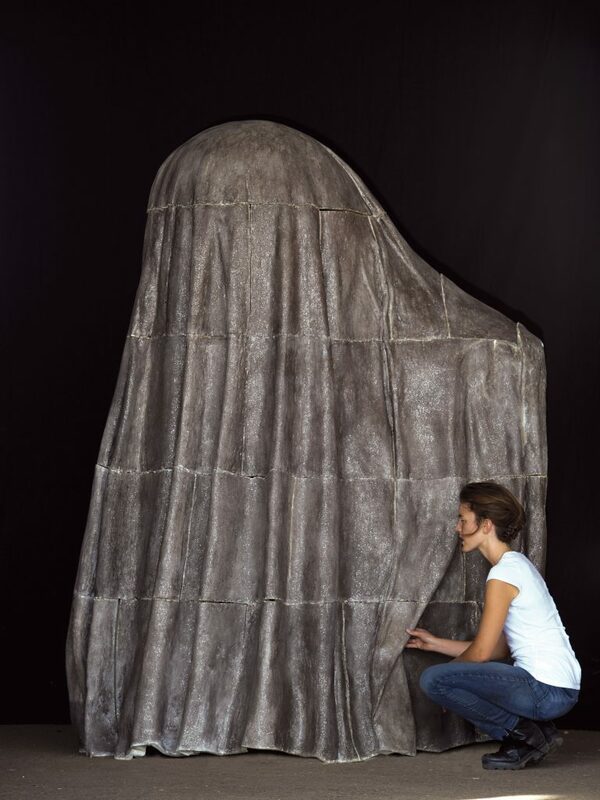 The Shrouded Furnace project is based on a careful study of these traditions. Proceeding from the traditional concept of the tiled stove, the Shrouded Furnace localizes once more the source of warmth in a home – these days mostly hidden – giving it a visible point of origin, albeit swathed in ceramic drapery. Cloth provides not only warmth, it conceals something, removes something from view, creating a mystery that nevertheless remains conspicuous and present. Cloth is an iconic metaphor for mystery – the unknown. It reflects the furnace as a place shrouded in legends and myths. The shroud as mediator of mystery is an embodiment of the enigmatic fascination that has surrounded fire since time immemorial.